A new undercover video from a group of conservative investigative journalists appears to show Twitter staff and former employees talking about how they censor content they disagree with – and without the user ever knowing. 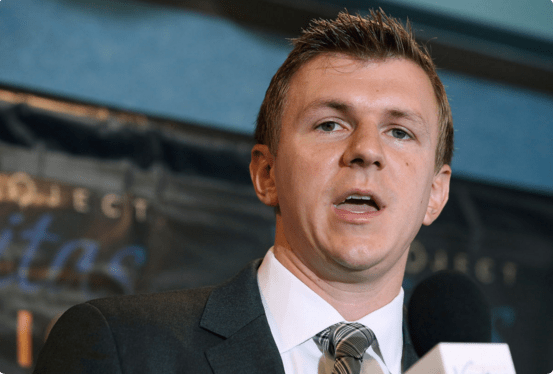 James O’Keefe, Project Veritas founder, posted a video showing an undercover reporter speaking to Abhinov Vadrevu, a former Twitter software engineer, at a San Francisco restaurant on January 3. There, he discussed a technique referred to as ‘shadow banning’, which means that users’ content is quietly blocked without them ever knowing about it. Their tweets would still appear to their followers, but it wouldn’t appear in search results or anywhere else on Twitter. ‘One strategy is to shadow ban so you have ultimate control. The idea of a shadow ban is that you ban someone but they don’t know they’ve been banned, because they keep posting and no one sees their content. The tool was created to weed out fake bots and scammers but could be open to abuse. Vadrevu admitted it was ‘risky’ because if people figure out they’ve been shadow banned they would be furious. Olinda Hassan, a policy manager for Twitter’s Trust and Safety team, was also filmed at a Twitter holiday party on December 15, talking about how the social network was developing an automated system for ‘down ranking’ ‘shi**y people’. Another Twitter engineer claimed that staff already have tools to censor pro-Trump or conservative content. ‘Every single conversation is going to be rated by a machine and the machine is going to say whether or not it’s a positive thing or a negative thing,’ Twitter software engineer Steven Pierre was filmed on December 8 saying as he discussed the development of an automated censure system. Ex-Twitter content review agent Mo Norai revealed last year that Twitter’s alleged left-leaning staff meant that conservative and pro-Trump content was subject to far harsher scrutiny than liberal posts. Another Project Veritas reporter tracked down Pranay Singh, a direct messaging engineer at Twitter, at a San Francisco bar on January 5. He explained, while dancing, how shadow banning algorithms can work, and how the majority of users who are targeted are Republicans. However, when O’Keefe – wearing a disguise – suggests that Haynes could look through Donald Trump and his son’s messages to ‘see what’s in there,’ Haynes made clear that Twitter would only do so as part of a legal process. ‘There’s a reason why we have a subpoena process’—meaning Twitter would only access that information if requested by law enforcement as part of an investigation after obtaining a subpoena,’ he said. DailyMail.com has reached out for comment on shadow banning. O’Keefe has just completed a book about this series of undercover videos entitled ‘MERICAN PRAVDA: My fight for Truth in the Era of Fake News, which is released on January 16.